Are you a Lego grand master or would like to be? 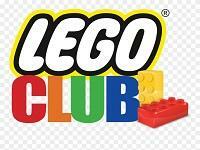 Come along to our new Lego club every Saturday at 10.30am, let your imagaination run free and see what you can create. A drop in session for children 4 - 11 years. Stories and book related fun, games and craft activities. Staff are on hand to help you start your IT learning journey. We'll help you log into Learny My Way, a website of free online courses for beginners, helping you develop digital skills to make the most of the online world. Help with everything from getting started; using a keyboard and mouse, to setting up an email account, surfing the internet and much more. We have computers available for you to use for free, with free internet access too!